Cats Protection volunteers have been caring for a stray cat found with half of his tail hanging off. 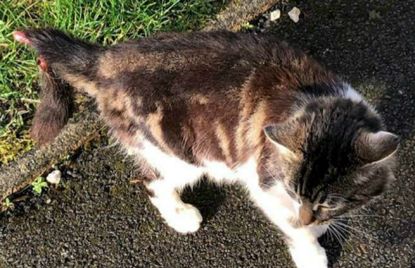 The moggy, who has been named Bobcat, was reported to the Gwent Branch by a kind member of the public who found him in Blackwood on 5 March 2019. “Poor Bobcat was in a terrible state when we first saw him. His tail was snapped in half and it looked extremely painful, so we took him to a vet for emergency treatment,” said Branch Coordinator Glynis Davies. “How he was injured remains a mystery, but his tail was so badly broken that vets decided to amputate it. “Thankfully Bobcat soon recovered from the operation so he’s now bright-eyed, just not quite as bushy-tailed as he once was. 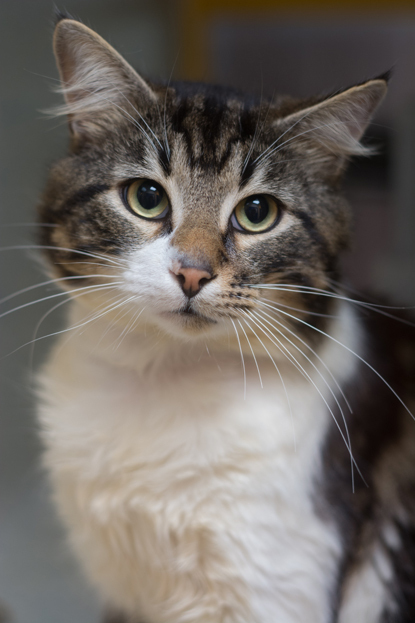 “He’s managing extremely well without a tail and is already at Cats Protection’s Exeter Axhayes Adoption Centre, looking for a new home. This year Cats Protection’s cat care assistants – who help look after cats like Bobcat at Exeter Axhayes Adoption Centre – are being funded thanks to players of People’s Postcode Lottery, who have raised £404 million to-date for similar good causes.